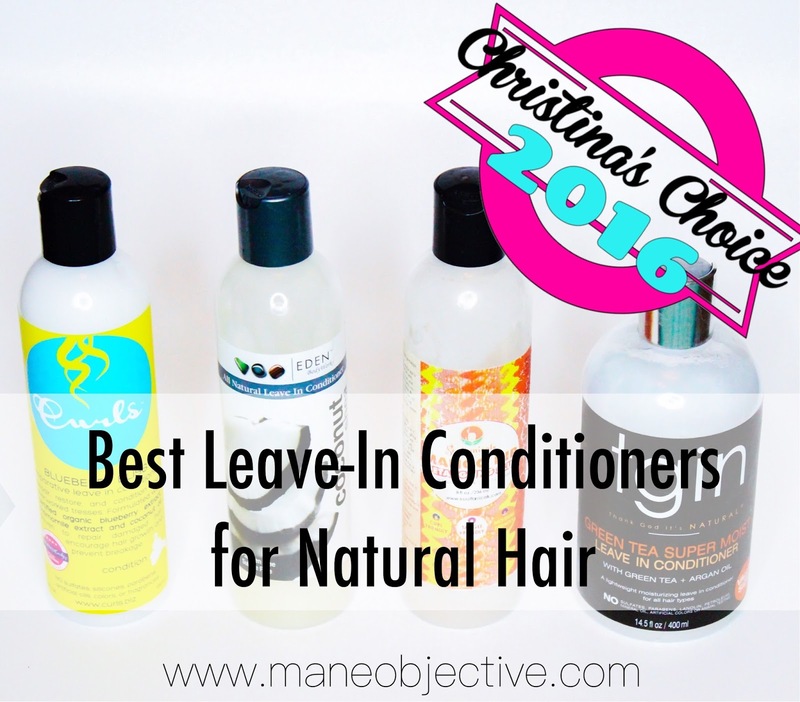 The best of the best leave-ins for natural hair! Leave-ins sit at an interesting intersection in the natural hair category. On the whole, they're underrated as products, and there's a small subset of people in the natural hair community that believe they aren't even necessary - just another marketing gimmick. In my humble opinion, leave-in conditioners are like, everything. When you have a good one, it does exactly as the name suggests - conditioning the hair post-wash, while softening, de-frizzing, retaining moisture, and sealing the cuticle of the hair. Leave-ins are also a part of the secret sauce of a great wash and go style. They help capture your curl pattern in it's most hydrated state, helping your curls ascend to epic levels of washing and going. Three years and running! Eden's Coconut Shea Leave-In Conditioner is practically a legend at this point. The thick, creamy, coconutty leave-in is packed with super moisturizing ingredients like aloe vera, coconut, jojoba, safflower, and avocado oils - making it the ideal leave-in conditioner for naturalistas looking to retain softness and shine post-wash. Plus with the pricing under $10 and Sally Beauty always having a sale (like the buy 2, get 1 free happening right now), the value can't be beat. New to the rotation and deservedly so is the CURLS Blueberry Bliss Reparative Leave-In Conditioner! I was introduced to this product early in 2016, and kept in in stock allllll year long. Not only is the blueberry smell addicting, it's super creamy, smooth, and hydrating. It soars above ALL the marks for a great leave-in conditioner, and I personally love the addition of blueberry extract, quinoa protein, and silk amino acids to strengthen and protect the hair long after wash day. CURLS really knocked this one out of the park! You guys know I love me some tgin. 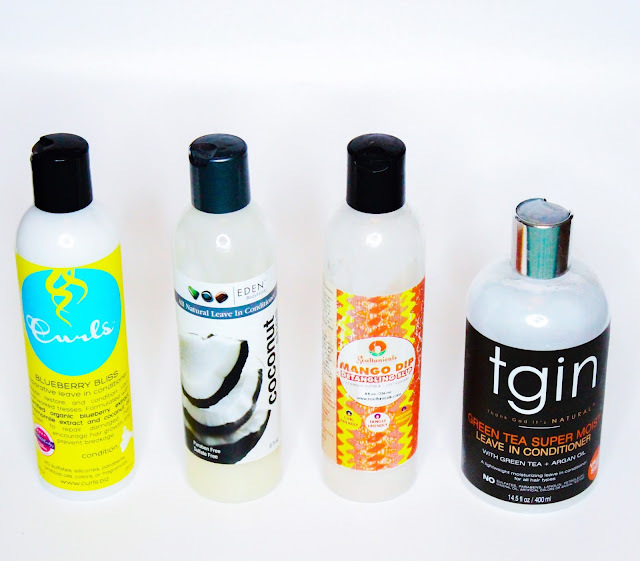 When tgin dropped their Green Tea Moisturizing Leave-In Conditioner, I was hooked instantly. Packed with green tea extract, aloe, cocoa butter, argan, and sweet almond oils, this ultra creamy and moisturizing (yet light) leave-in showed my curls some major love. It plays nicely with virtually every curl definer in my stash - which is HUGE. And I absolutely loooooove the sizing!! 14.5oz of product? Yes, please! I've been crushing on Mango Dip Detangling Slip for two years straight. Why? Two words: botanical magic. Not only does it smell like a tropical paradise, it envelops my curls in a curl-boosting cocktail of botanical goodness. It glides onto my curls like sweet, sweet buttah with tons of moisture and frizz-fighting goodness. Oh and the slip? Off the charts -- which makes Mango Dip Detangling Slip a rockstar leave-in, detangler, mid-week moisturizer, and natural gal's best friend. I can't get enough of this stuff - and always keep a bottle on hand. The leave-in, the legend. Holding down the Deserted Island spot for 2015 and 2016 is no easy feat! You gotta be daaaaaaaarn good to get to this spot two years in a row! And the truth is, Eden BodyWorks Coconut Shea Leave-In Conditioner deserves the honor. It's super effective, super affordable, super versatile, and super accessible. I've literally never had a failed style with this leave-in - which says a lot. And much like last year, I had a TOUGH call to make between Eden and Soultanicals Mango Dip - because they're similar in consistency and performance. Last year, Eden took the W based on price and on the ground accessibility. Well, since Soultanicals is now on the ground (yasssss!) I had to go back to the drawing board and think long, and hard. And what it came down to was this - what I bought more of. This year, I purchased more Edens than Soultanicals in the battle of Coconut Shea vs. Mango Dip. The battle was hard fought, and both products are amazing. But Eden takes the win for 2016! What leave-in conditioners are winning with you as we go into 2017? Any on this list you're anxious to try?Let me know in the comments below! Stay tuned - best moisturizers are next! Soooo.... what about some of those products you used as leave ins but aren't leave ins but maybe were lol..ir maybe those are more moisturizers??? If my hair is protein and coconut oil sensitive would you still recommend the Edens? Or would you say the soultanicles is better? Thanks for reviews! Most blogging writers do not pay attention to the detailed descriptions of the products. But it is very important for the audience. Let's face the details - job hunting might be frustrating. Specifically if you do not get call backs within the jobs you need. Resume writing is daunting and tedious. It's the bridge between you together with a completely new position, potentially along with your dream job. Your resume just a couple of seconds capture a hiring manager's eye, this is why the resumes I build are concise, comprehensive and engaging. Your hair looks really awesome and I even jealous you. I would like to have the same hair. Of course, you spend a lot of money and time to keep it look good.